So why does this all matter, and what can we learn from it? What really caught my attention about this story was the fate of the book so far in its publishing journey. It came out in April, and the publisher obviously believed enough in the book to commit resources to launching and promoting it, despite the fact there was no author to help out. Is there a self-publisher who wouldn’t like to get reviews like that? And if you did, don’t you think you’d be ready to go to the bank with all the sales you’d make from these mighty media recommending your book? Stopping right here for a moment, how do we understand that great reviews like these don’t automatically lead to book sales? How’s that supposed to work? But I’m not so sure that’s the lesson to be drawn from all this. You can see that Rowling’s motivation was entirely for her own benefit as a writer. Nothing wrong with that, of course, and writers should stretch themselves when it seems right to do so, take chances and try new things. But she didn’t do it for her readers; it was more to escape from their expectations, and maybe to escape the kind of scrutiny that greeter her earlier foray into contemporary fiction. Would The Cuckoo’s Calling’s sales have eventually picked up? Would word of mouth kick in at some point as more and more people discovered the new writer Robert Galbraith? We don’t know. What we do know is what every indie author already knows: platform sells books. 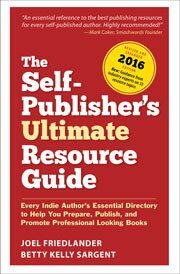 Your author platform—all your readers, all the people who give you credibility and trust and attention—are crucial to indie authors’ success. My opinion is that it was the complete absence of any platform for Robert Galbraith, the lack of any fans, anyone who cared about him, the lack of anyone willing to host him on a blog tour or help him set up readings at bookstores, or a tribe that would greet his long-awaited first book with enthusiasm that held back sales of what’s obviously a well-written book. Your platform—or your tribe, your fans, your readers, your subscribers, whatever you want to call them—are the people who care about you, who will help you succeed, will cheer you on and pass your book around their own networks. Trying to publish a book without an author platform makes the task infinitely more difficult. And even though there are still people, like J.K. Rowling, who built their platform solely by publishing, they are the exceptions. For the rest of us, building an author platform is how we invest in ourselves and the books we’re going to publish. Without it, even J.K. Rowling herself couldn’t sell many books. And with it? When the news broke, The Cuckoo’s Calling went to #1 on Amazon, and has stayed there ever since. We have to acknowledge that it’s possible to create enough sensation to sell books that have no author, but that’s not what was happening here. Rowling wanted the book to succeed only on its merits and without any connection to her. Of course, as indie authors, we could have told her the best test to really see if your well-written book has what it takes to escape from obscurity: self-publish it. Now that’s a test. What do you think about building a platform to sell your books? Is it working? Mr. Denman, these hundreds of readers who took the time to post reviews of your work on Amazon would be disappointed to hear you feel their opinion “doesn’t mean as much” and is just “not the same” as having glowing reviews from Publisher’s Weekly. While you claim you are grateful to readers, your comments seem quite disparaging. After all, didn’t the article say that although critics praised Galbraith’s work, it failed to find a home amongst readers? Perhaps you would rather a blurb on the back of a book jacket. But if no one picks up that book, does the review make any difference? Its excellent as your other content : D, appreciate it for putting up. “What makes something special is not just what you have to gain, but what you feel there is to lose.” by Andre Agassi. It is incorrect to assume that great books are written on the basis of the demand of the readers. By virtue of its originality a novel breaks newer grounds in the literary world. So good authors never care for what people demand in a book. They do not fall in the trap of ‘Genre’, to be defined. Honestly i hope to strive for an audience of one. Because i have submitted proposals which some were leery of based on their limited experience and others benefitted while they clearly missed out. So ive decided the platform works if you know YOUR sudience and write for them. Not everyone will love you but if you can carve a niche for your specific audience i believe its worth it. If others latch one great but dont do flips for them they arent your supporters anyway. But jk rowlings approach is still very clever, perhaps shes writing not to make money but from the right motive..as non christianing goes i mean.. These words of the author made me wonder: Trying to publish a book without an author platform makes the task infinitely more difficult. And even though there are still people, like J.K. Rowling, who built their platform solely by publishing, they are the exceptions. Did J K Rowling orchestrate her own exposure as Robert Galbraith? No, I don’t believe so, and she appears to be somewhat irritated to have her identity revealed, although she has also said she intends to continue writing books under the Robert Galbraith name. Rowling has provided on the greatest case-studies in recent history on the dynamics of book marketing. I am really thrilled that this has worked out in a public way like this, with some sales data. Joel, you are spot on with your commentary on what this means for platform significance. Great article and great commentary too. Great thoughts Joel, thanks. I need clarity on the numbers though- everyone I’ve seen in articles to date was pretty clear that 1,500 paper copies, first weekend “first-time” author, was quite respectable. It’s well beyond the combined output of my e-books, and I’m parsecs away from any offer for paper-pub. I also think the reviews ahead of time belie the idea that JKR truly self-pubbed (or had no platform). The few who were on board with the secret were clearly on board with the effort too. Anyone who comes out with dust jacket material alongside the book (meaning, any paper book I suppose) is beyond the reach of what you describe in platform-building that the rest of us schleps have to slog through. Finally I will agree the title and cover art, etc. is not only misleading, it doesn’t even look good. I was stunned, could hardly believe something that simplistic would have been vetted by a real publisher. Has there been any suspicion voiced about that- was it all part of the plan? JKR had no platform at all when she wrote the first HP book. Yet she has sold more books than anyone, period. Also, the sales for The Cuckoo’s Calling were apparently 8,500; that aside, even if they were just 1500 that IS NOT poor sales in that genre over that time period for a new author. That is VERY GOOD sales. Please get off of this poor sales bandwagon. Spencer, that’s why I acknowledge in the article that some authors build a platform simply by publishing but, unfortunately, that will only work for a very very small percentage of authors, so it simply seems smart to me to do something to increase our chances of success. The thing is, if you write fiction, you just won’t get the fans until you start writing. What are they following you for if you don’t have books out? You mentioned Amanda Hocking to another poster above; she had already written at least nine books before she posted them up on Amazon, and it is well documented that she made good by bombarding book reviewers. Yes that helps build a following, but I disagree you must have a platform to sell enough to make a living. She has sold millions of books, but even now only has 23,812 twitter followers. I suspect most of them don’t actively follow her posts. Clearly having a readership makes sense; in fact it is common sense. Trying to build a platform before you actually have any writing for people to follow you for? Seems kind of dumb frankly. This is an interesting take on this topic. While most bloggers have focused on whether she had always planned to step forward, you focus on the importance of having an author platform to improve sales. And you’re right, of course. Without a marketing startegy that includes the author, books are likely to languish, even a well-written book like this one from Rowling. I agree with Mick Rooney: writers need to start marketing their books long before they are printed. It might seem hard to believe for a lot of us self-published’s out here, but you can become too hot. Rowling was too hot, and perhaps what’s worse, typecast. Some of you might remember that other book she did a year or so ago, The Casual Vacancy. That got snubbed by critics, if I remember correctly, mainly because it was written by her. If she’d appended a pen name to it would it have turned out differently? I can go out and have a beer in any bar any night of the week, but Prince William can’t, although he’d surely want to. J.K. Rowling can pen a bestseller anytime she wants, but I can’t, although it sure would be nice! I think one major reason the book didn’t sell is the title. It doesn’t compel attention, and it definitely doesn’t signify that the book’s a mystery; if anything, it sounds more like a comedy of manners. I adore mysteries, but I’d have walked right past this one if I’d seen it while shopping. Not giving the book a better title was a major miscalculation on the part of the publisher. Excellent point, Amanda, I wondered the same thing regarding the publisher using that title. I’d be interested to know what you thought of the cover. Neither that or the title indicate what kind of story this is. I wouldn’t have picked it up myself. I am British, but I still wouldn’t pick it up, do you think a British version would have a more romantic cover, and why? What do you mean didn’t sell? It apparently sold 8,500 units in a few months. For a brand new author in that genre that is BRILLIANT. Why does everybody keep thinking that if you don’t sell a million plus units you have failed? If I sold 8,500 books in circa 3 months I would be very pleased. At the point I was ‘outed’, Robert had sold 8500 English language copies across all formats (hardback, eBook, library and audiobook) and received two offers from television production companies. Can someone explain how 8,500 sales (in six weeks I am told) plus two offers from television companies is BAD? Imagine if you self pubbed that and were getting 70% royalties from Amazon? Would you be slitting your wrists saying woe is me or would you be bragging your 5* reviews on Twitter? Coming back to the central question here about whether building a platform works, I think I’m going to buck the trend here and say no – at least not for fiction. Clearly, if you’re offering a service such as book design, then writing great content and building a platform is probably the best thing you can do and Joel is living proof. If someone can give me one good example of an unknown fiction author who built a platform that directly led to success of a subsequent self-published novel, then I may change my mind, but my guess is that in most cases the success comes first. I agree that once you’ve had some success, a platform is probably an invaluable way of building on that success and giving subsequent work a head start, but with so many thousands of hopeful authors out there, I reckon a lot of time and effort must be spent trying to build author platforms which bring nothing. Time that would be better spent writing more books. At least, this is what I’ve concluded. Simon, you are right that this situation is not so easy or clear-cut for fiction writers, but how about Amanda Hocking, who worked social media very hard, or Joanna Penn who, I’m sure, is going to get that big contract any day? I agree with you, Simon. I’ve always heard “platform” was for non-fiction books. How do you work platform into a fantasy series? I mean, I’m not a magician or a shapeshifter or dragon (LOL). So I can’t bring any expertise, experiences, etc., where that’s concerned. I’m following Dean Wesley Smith and Kristine Kathryn Rusch’s advice: Put out more books. The more books I have out there, the better chance I have of being found by readers. I don’t have much out yet, and I’m not going to endlessly promote/market the first series. Their advice is also to wait until you have a significant number of fiction out there, in the area of 9 or 10 books, before doing any sort of promo. The only sort of “platform” I have that I agree with (and am doing) is the branding thing: I’m using the same font for my name that was used in the first series. I also have a more critical eye when it comes to covers (just changed the one I originally came up with for this new series with something I think is much better – but still evokes a fantasy feel). I think that for fiction, platform is synonymous with brand. We all realize that an author’s name carries the weight in both fiction and non-fiction marketing. Building a platform or brand is essential, however the methods to reach this goal is different based upon your genre or niche. The end goal, name recognition, is the same. Interesting article! Thanks for sharing. Really puts in perspective how a platform can change the game. Many thanks Thomas. The “writing for writers” situation is all too easy to fall into, but the experience you’ve gained over that time will serve you well. The “pasta method” of marketing. Gotta love that, thanks Carol. It may work as a marketing tactic, but I’m not convinced that’s really the way to cook good pasta. If it sticks to a wall it’s probably a bit overdone. But I’m no chef. And I’m not Italian. I actually find it quite encouraging that her first 4 months sales volume under the Galbraith pseudonym were similar to my own first step into the world of self-publishing last year. And while they may appear poor for established authors, I was over the moon with the result – especially since I’ve never had any reputable reviews besides the couple of hundred that have accumulated on Amazon UK & US sites. What do you mean “quite encouraging” / “appear poor”? Please be even nicer to yourself. After all, you can include: “sells as well as JKR” on your next book-jacket / pitches to agents if you want to. Continue being over the moon. PS And arent the Amazon reviews “reputable”. These are real live readers, the most important creatures for any writer, arent they? Regarding the Amazon reviews, yes of course, they are invaluable and I am extremely grateful to all who took the time to post one (well most of them at least) but they’re not the same as having ones from Publisher’s Weekly, or major newspapers, and they wouldn’t mean so much printed on the back of a physical book jacket for example. And of course that would mean Rowling self-publishing under the Galbraith name. But I suspect, even for Rowling, that would have been a bridge too far. As a publishing consultant, I stress to authors the importance of author platform, even for the newbie, it requires at least 12 months planning and building. It works reasonably well if you have already carved out a commercial career as an author in the traditional world, but it is a huge task for an author approaching their first book. It can help if you have a professional profile in another field connected to the subject matter of your book, but it is tough if you write fiction. It is still one of the biggest questions I get from authors – How do I build a decent fanbase and readership when I don’t have a published book? Build and research a profile of who you believe your ideal reader is, then, find out where that targeted readership most often buy books, what interests them etc. Terrific advice Mick, thanks for that. I hope fiction writers take these tips to heart.